Are you missing a single tooth in Milwaukee? Although you may feel alone, more than 120 million Americans are missing at least one tooth. Now, you not only feel insecure about your appearance, but you also struggle to chew your favorite foods and have difficulty speaking clearly. Dr. Barry R. Franzen can fill the empty space in your smile with the next best thing to your natural teeth with a dental implant. Although it may only be one lost tooth, it can cause serious complications for your oral health if you do not replace it. The missing root causes your jawbone to deteriorate because it is no longer stimulated. As a result, your remaining natural teeth lose the support they need to stay in place. Over time, they shift toward the open space, causing alignment issues that increase your risk of tooth decay and gum disease. As more time passes, they may even become loose and fall out. To give them the support they need to stay in place, you have a couple of different treatment options. A fixed bridge, also known as a crown and bridge, is the most conventional treatment option because it is affordable and convenient. 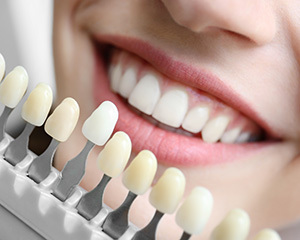 Impressions of your mouth are used to create a prosthetic tooth. It is held in place by attaching dental crowns to your adjacent teeth. Although it is effective, it does require permanently altering healthy teeth, and you will need to have it replaced about every 5 years. 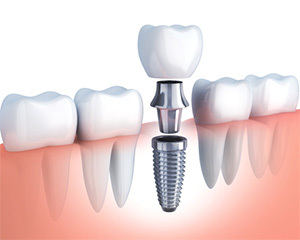 Now, more than 500,000 people a year are choosing dental implants to fill the space of a missing tooth. 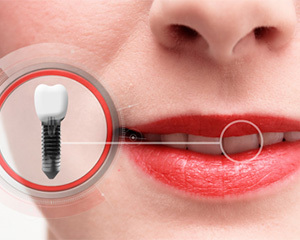 A titanium implant post is surgically placed into your jawbone to act as a new root. This stimulates the bone to encourage new growth. After your jaw has fused to the post, an abutment is attached to it to connect a custom-made crown. 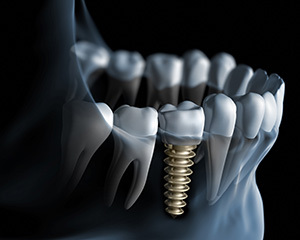 While it does require surgery, dental implants in Milwaukee have the potential to last forever, and they are the only option to preserve your bone density. Looks and feels like a natural tooth. Stops bone loss by stimulating your jawbone. Does not alter your healthy teeth. Does not need to be replaced with the right aftercare. You do not need to let an empty space in your smile cause you to feel insecure about your appearance. You can restore your confidence and enjoy your favorite foods again with a treatment that can last for several decades. If you are ready to make a long-term investment in your quality of life, it is time to see if dental implants are right for you. Contact us today to schedule your consultation with Dr. Barry R. Franzen.